Have you seen the packaging tape with designs on them lately? My friend and I went craft shopping on Memorial Day and saw some at Joann and Michael’s. Super cute for wrapping gifts or decorating packages. It could also be fun to stick on lunch bags or whatever you would like to tape together. 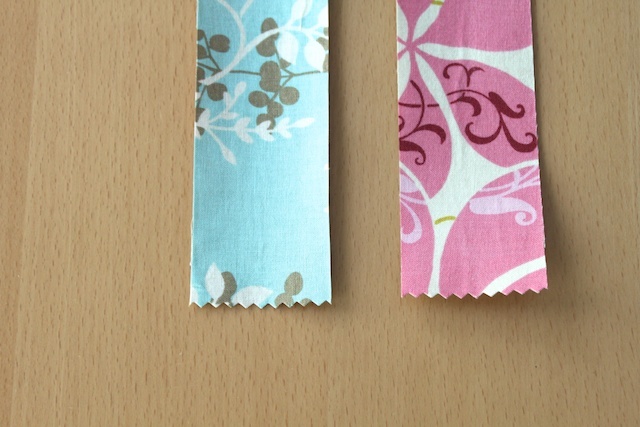 I’ve heard of people making fabric tape before, or maybe it was in a magazine? I can’t remember. So I thought I would attempt my own. A great way to use some of those scraps. It’s so simple to make. I did these four while my kids were napping. If you made something inspired by Simply Modern Mom, please upload pictures of it in our Flickr group to show it off to everyone. You may be featured on Simply Modern Mom. 1. 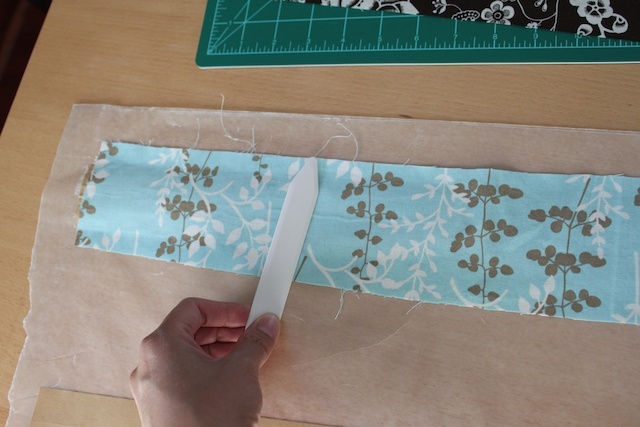 Pull out a piece of wax paper longer than your fabric pieces. 2. 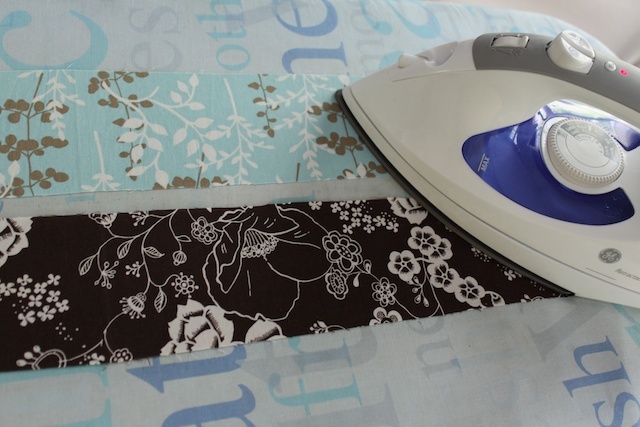 Iron your fabric pieces flat. Check for any lint or frayed strands on the wrong side of the fabric. 3. Pull out the kraft tape and stick it onto the wax paper. 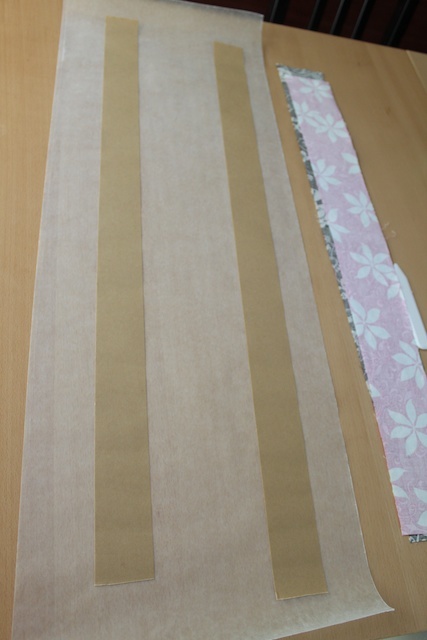 Have the kraft tape be slightly longer than your fabric too. 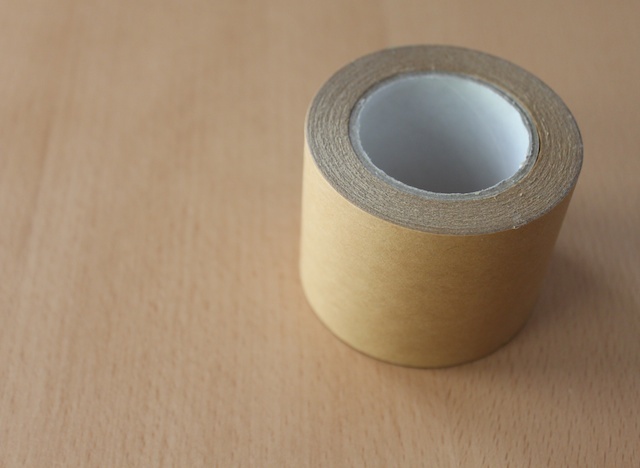 If your kraft tape is in a holder (even the easy pull and tear holder), you’ll want to take it out because it may have a crease in the tape, which will leave a crease in the fabric. 4. Apply an even layer of Mod Podge on the tape. It’s OK to get it on the wax paper. You want enough Mod Podge to keep the fabric glued on, but not too much or clumpy so it seeps through the fabric because it’ll leave wet spots and it’ll look that way even though it’s dried. 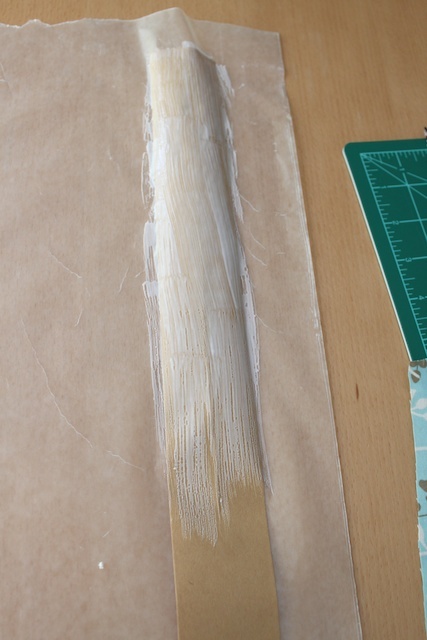 The tape and wax paper may curl up a bit, but when it’s dry, it will return to its flat state. 5. Use the bone folder or a credit card to smooth out the fabric, getting out any trapped bubbles. Also, run over the edges of the tape well to keep the fabric from peeling off. Allow to dry completely. 6. Turn the fabric tape upside down so the wax paper is on top. 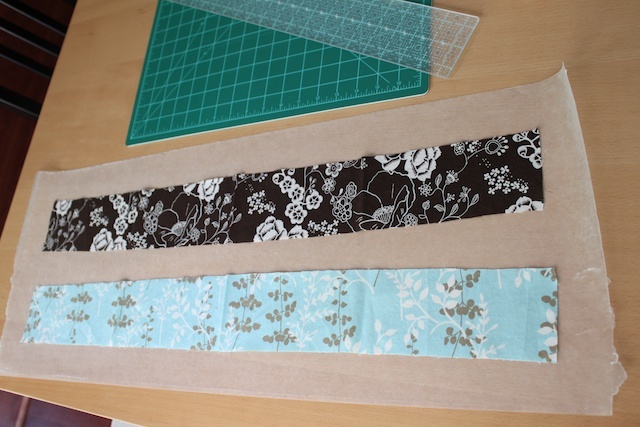 Using the cutting board and rotary cutter, trim off the excess fabric and wax paper. 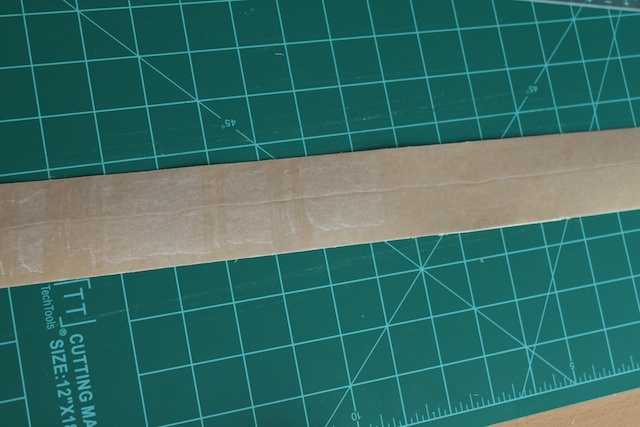 You can use a ruler or yard stick or anything straight edge to help guide the cut. 7. I used a pinking sheer to trim the ends. There should still be wax paper on the sticky side of the tape. Pull that off to use the tape. Be careful not to pull of the fabric. Since the fabric is glued down, it should fray too much on the edges. 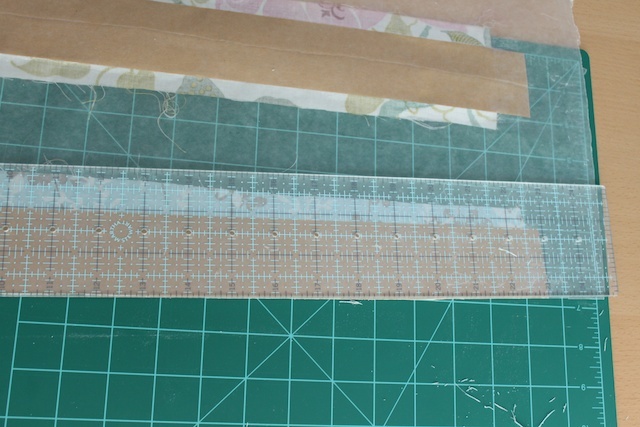 You can also cut the tape in half to make narrower tape widths. » Tell me… How do you like to use your fabric scraps? And how do you like to decorate your packages? I LOVE this! Thanks for the how-to! Lately, I have been using fabric scraps for rag wreaths….so fun and easy to make! Great idea! I can’t wait to try it out. fabulous way to reuse old fab scraps! thanks for sharing!!!! i love this idea. So cute! You’re so creative! This is amazingly cool! I’m a new lover of your blog! Okay that is just way too fun for words. 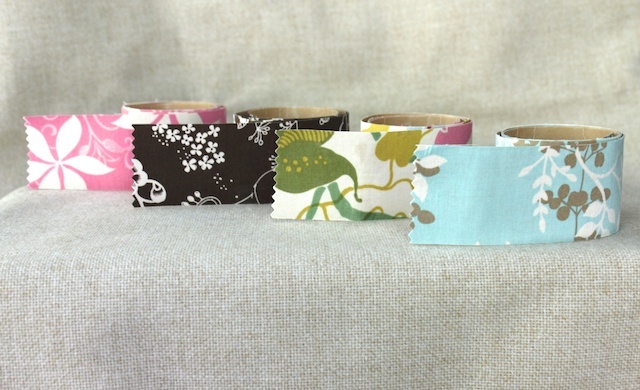 I just came upon the fabric tape myself the other day and was thinkin up all sorts of fun ways to use it. Now I can make it!!! so glad that you like it! and please come back to visit often! How great is that? Oh the possibilities. Thanks so much for taking the time to post this. I can see myself using tons of fabric tape around the holidays. i didn’t even think about the holidays! 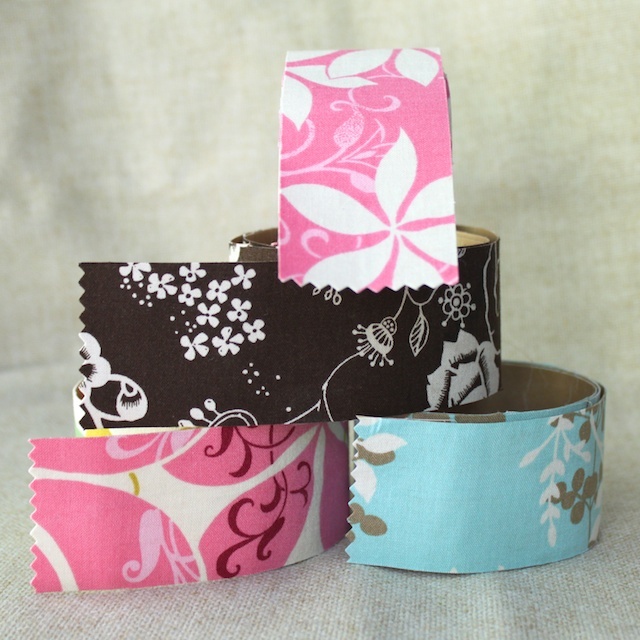 how fun would it be to make some christmas fabric tape for wrapping all the gifts? thanks for the idea! This is great! Thanks for the tutorial. I’m going to link to this on my blog linking party today so that I can share this with my readers, hope that’s okay! oh wow! what a honor to make it on your blog, sara! i’ve been a fan of your blog for a while now. Found this through Instructables.com link. Fantastic! You may have yourself a new reader. Thanks again! Really neat idea. Can’t wait to try this. This is so darling, I am going to make up a reason to make this and use it! Great idea! I can see all kinds of possibilities, and I will be putting a link on my Homemade Gifts site for using with giftwrap. Thank you SO much! oh now that is just a megga cool idea! they would be great when making my own bows for gift wrapping! Great idea can’t wait to try it! I just came across this…it’s brilliant! Thanks so much. Great idea! I’ve seen all of that great tape but now I can make it out of my fabric. Yeah! Thanks a bunch.